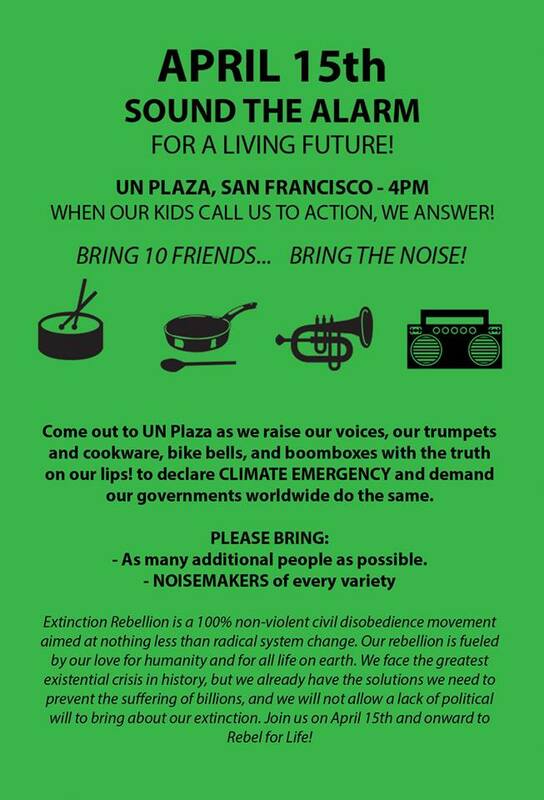 As noted in the last post, the approach of Novasutras and Extinction Rebellion (XR) are different, but they are compatible and synergistic. Like XR, we take the threat of climate change’s impacts very seriously, and Novasutras’ long-term vision includes strategies for deep adaptation. Below we re-post suggestions for some things you can do, whether or not you choose to join a mobilization. While the Novasutras movement is equally dedicated to the outcomes desired by Extinction Rebellion (XR), some may find the confrontational language and approach favored by XR does not reflect our much deeper dedication to growing a world abiding in agaya and ubuntu. How can we help, while maintaining our focus on the co-creation of better cultural forms to replace the existing systems of exploitation, inequality and disharmony? We can support XRs actions for the week leading up to Earth Day (April 15-22) by taking actions that harmonize with our intentions, to make the week especially sacred and resonant, whether or not you can join a mobilization. Meditate to Support the Mobilization. You can lend your support through meditation during key times (e.g. around the start of a planned action, such as the London mobilization beginning April 15th at 1000UTC/11am London/3am PDT, or the San Francisco mobilization at 4pm PDT). Commit to more frequent and/or longer meditations during the week, and set an intention for your meditation practice this week to support earth-care through agaya and ubuntu.